Damn...I should have taken a screenshot! Basically it was like "After you served me poison I took some colloidal silver and other remedies. I haven't had to see a doctor since 30 years ago when I had my son. Will you take responsibility for serving me poison if the effects make me sick in the next few days, months, or years? No, you won't!" There was a sprinkle of "I'm a god-fearing woman" and other such things, but it was certainly the longest post in this entire ordeal. All I could think of was how this just increased the cringe-factor and that she should definitely delete that post because it wasn't a good look. She did reveal that she tipped the waitress and that it would have been double had there not been a half a cup of poison ingested. They tried to have DivaBaby19 banned and trespassed from the restaurant by Raleigh Police. The kitchen "manager" threatened them that they were on camera as if they planted the mold. Those people are crazy AF. Not only do they serve up mold but they are trying to cause criminal problems for their customers over a dispute. I tried to get my family to go eat there with me but my mother said the reviews were sketch even before this happened and she would not go. Such a shame that Cajun Crab house at 6204 Glenwood Ave, Raleigh, NC 27612 would do such a thing. "kitchen "manager" threatened them that they were on camera as if they planted the mold"
I thought that was in reference to if they tried to leave without paying, not planting the mold. DB told waitress about mold, waitress didn't know what to do and told other staff. The staff still don't know what to do so they call an off site manager who gives them the go ahead to call police (apparently they have had other people walk out and the waitresses were concerned for some reason that DB was another potential walkout bc she complained). Police are called. Then the hotheaded kitchen manager/chef hears about the commotion and agrees they must be trying to run out on bill and tells them they are on camera. Police show up and are confused and DB is eventually allowed to pay her bill and be done with it. The staff insists she needs to be slapped with a trespassing and some other stuff, kitchen manager also says they have several phone numbers of her family member, which is weird. The officer wasn't having it and just told DB to not come back. DB had to deal with this for a few hours, and was left a partial meal completed before drama ensued and a major headache. She decides to voice her opinion on FB for having cops called on her for a legit complain. Owners are on FB showing cup purchase invoices and defending the chef saying although he has a temper (apparently yells at staff too), he has cancer and kids and proceeds to try to guilt trip DB into backing off. They also talk about how they are too busy with their other businesses to be at that particular location, and that they don't know their staff very well. BUT DON'T WORRY GUYS, they hired a black guy that they were going to let DB meet with (who wasn't there during the incident), so clearly race was not a motivation to call the cops, just incompetence and lack of leadership. And if you think that DB is exaggerating, go check out their reviews and other complaints of black stuff in cups etc and nasty food. Don't act like you wouldn't be grossed out, and she SHOULD complain. Yes mold can happen, and nasty stuff goes down in restaurants everyday, but not only did they not apologize and try to offer a solution they called the police. Even after everyone was a lot calmer.... they still wanted charges. At no point should this involve the police. It would have been over in 20 minutes if the waitress had been trained to comp meals when customers bring up legit complaints, because YES they happen. The way it was handled was embarrassing for the customer. Y'all should be pissed a business in Raleigh behaves this way. Yea. Restaurant fucked up at every turn. I have to say, as a person who hates to see the race card pulled and abused, I have a hard time looking at the details here and not seeing the signs of racism on the part of the restaurant. Generally, when you start apologizing and saying “I have black friends” before someone even goes there’ you know you profiled and are playing cleanup. Speculation, but suspect to me. I was not there so this is off the given details in the thread. I’m a white male i wonder if they would have treated my family with the same disrespect, as criminals trying to catch a free meal. Question, what would've happened if divas mom ordered a dark soda instead of a sprite?? the soda would have had the police called on it as well. Just saying, she wouldn't have been able to see the mold, right? you can taste moldy soda dispenser... i'd estimate 10-15% of quick serve/fast food places have moldy soda fountains by taste. Also gas station coffee machines too. 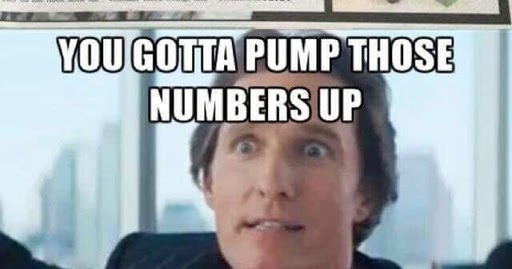 ^ According to my brother who used to service ice machines and soda fountains and the like, you're numbers are way low. "Yea. Restaurant fucked up at every turn. I have to say, as a person who hates to see the race card pulled and abused, I have a hard time looking at the details here and not seeing the signs of racism on the part of the restaurant. Generally, when you start apologizing and saying “I have black friends” before someone even goes there’ you know you profiled and are playing cleanup. Speculation, but suspect to me. I was not there so this is off the given details in the thread. I’m a white male i wonder if they would have treated my family with the same disrespect, as criminals trying to catch a free meal." Sawasdee in Chapel Hill is going to become a Cajun Crab House. Saw the signs when I walked by it Friday. Nah fam I'm good. I heard that Greg Fishel ordered moldy sprite laced with deworming agent at the Cajun Crab House in Raleigh on Glenwood Avenue. Has anyone else tried this place? I'm gonna give it a try today for lunch. I'll let you know if they call the cops on me. I think they only do that to certain races. "I will personally meet you tomorrow, at your convenience, and offer you a full refund, plus $200, out of my own pocket." Yes, bribing is a good idea. "I think they only do that to certain races." I think that's applicable to me. I want to go in there alone and order 5 sprites. I will sit petri dishes and other basic lab equipment across the table before they bring the drinks. Racist restaurant called cops on david baby and her mom because they were unhappy that their was mold in their drink. If i ate there, which I wont, i would ask if its true they added deworming agent to their sprite. When they responded “no” i would answer “well i have it on good measure that you should. Good day to you” fold menu and walk out. Are we even clear that this restaurant is actually owned by a white person? If so, they should be nameable in CAPS. Let the whites know which whites are doing what. Naw it's a Vietnamese dude. Other races besides white people can be racist against other races or at minimum stereotype other races. Think about it. I cleaned an ice machine this weekend that didn't look like it had been cleaned in years. Mold everywhere, on like every possible surface, on the inside. Nasty, but nobody had gotten sick from it as far as I know. Not at a restaurant.